Located in the heart of the Lower City between Medieval and Canal du Midi. 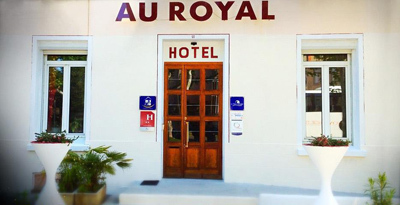 The hotel is located in Carcassonne just steps from the heart of the city , 10 minutes walk from the medieval city offers you 19 fully equipped rooms including one room for people with reduced mobility (PRM). Easy access, in a large building where reign comfort and convenience, this hotel offers calm and serenity. For your tranquility, a closed and secure parking is available. Pets are allowed for your stays.